I run nightclubs,,,, well I don’t actually run them. I arrived at a local pub gig and I was a bit dubious because there were lots of kids running in and out of the garden (the door to the garden was right next to where I was to set up). Thankfully by the time I had set up the kids had either gone home or were sitting down with their families behaving nicely. The punters made requests for songs that I knew and then applauded lots so I was very happy (although I am a confident singer I want lots of reassurance and praise. If accolades are not forthcoming on the way home I throw Aldi trollies into canals, and, when I get home I kick the cat (well I would if I had one)) anyway back to the story…..
Break-time arrived, a rather over refreshed man thrust his hand in my direction and introduced himself, I asked if he was enjoying the music. He told me that he had come especially to see me because “I run nightclubs, and I am going to book you” I asked which nightclubs, he replied not with nightclub names, but with a local street name. I said I didn’t know there was a nightclub in that street. He replied that it wasn’t really a nightclub but more of a social club located in a pub hall. It did not sound like The Hippodrome, so I asked for his number and said that I would “google” the club, if it looked suitable I would call him. He then told me “well I don’t actually run the club but if I tell the guv to book you, he will give you a gig”. I thought oh well that was a waste of 3 minutes of my break. Before I could get away he continued. “You work at Assos, and I know the owner there he thinks you are the best singer in the Southeast” I told him that I have never sung in Assos so it wasn’t me, he told me “yes it is you, Assos in Eltham you are there every week, I’m coming to see you next week”. When the man said Eltham I knew that he meant Rixos. Rixos is a really nice restaurant where I used to work but have taken a break until the autumn. 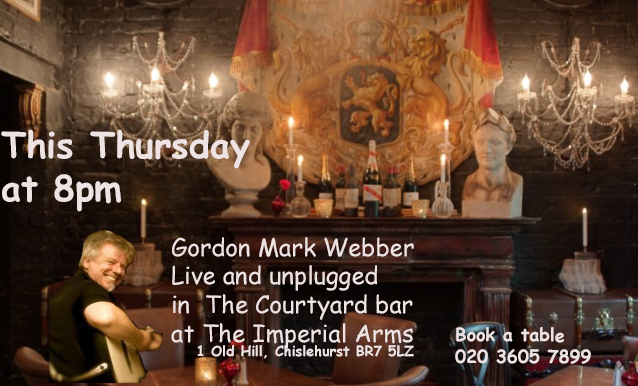 I told him that I used to sing there every Wednesday night but stopped working there a few weeks ago, they still have a singer there on Thursday nights so he should go then, he replied quite assertively “I know it’s Thursday night, and it’s you! I’ve seen you on the Rixos Facebook page, but when you are singing there you shave your head and use a different name”. The customer is always right so I said “OK, see you Thursday” and made my retreat. Not too many years ago Deptford was a hive of musical activity. Although many of the pubs were really struggling and some were pretty run down, they recognised the need and benefit of hosting live entertainment. Those musicians just starting up could cut their teeth performing in the pubs for slightly lower fees while those established musicians could earn a good fee for a good performance. Some of the pubs would do a deal paying 10% of the till. However, a fixed fee or percentage of the till both types of gig were profitable and worthwhile. 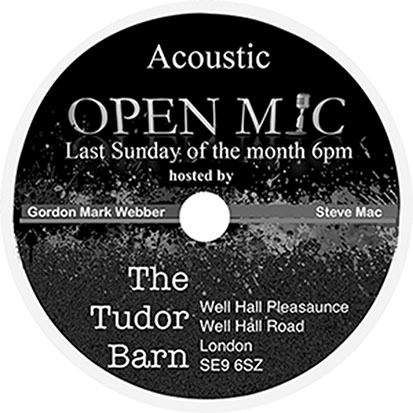 Tonight I was in Deptford and in a very positive mood so thought I would get myself a solo Tuesday night slot. Most of the old pubs are no longer pubs but been converted into flats or boarded up, but a whole new type of establishment has opened, gentrification has brought investment that has allowed the renovation buildings/spaces and the opening of trendy bars. With the extra money so apparent I was so confident that it was going to be no trouble to secure my Tuesday night solo slot. My M.O is that if I have not got an introduction to the venue, I volunteer to turn up on a quiet night, I will play an acoustic 20 minutes set. At any time if the manager does not like what he is hearing he can stop me and call it a day with no hard feelings, but if we get to the end of the 20 minutes and he likes what he is hearing he can pay me to continue or we can book another series of dates. This method of getting new venues works for me almost everytime. At this point of the conversation each of the managers looked really surprised/shocked/horrified/mortified and told me that, if they like me performing they would allow me to continue to perform, but….. they could not pay me anything because “we don’t pay musicians we allow them to showcase their music”. One of the venues actually had 1 band setting up and another band waiting for the opportunity to “showcase”. I explained that I am dependent upon gigging to pay my bills to which one of them replied that if I brought 20 people with me he would give me a couple of drinks. I still have warm memories of performing in Deptford, sadly they are going to remain just that ……memories. Can you play Peggy Jane? Work-wise 2017 has been a very good year, the vast majority of gigs have been in pleasant surroundings and performing to nice people so, (although even a really good gig involves a work and can be very draining) it’s been another year that has reminded me how grateful that I am in a job I love so much….. but there have to be some lows so that the highs are appreciated. I was asked to perform a gig at a pub where previously I had experienced a horrible night because there was a tv showing a boxing match right behind where I was to perform, the publican would not allow me to turn the TV off, he thought that so long as he turned the sound off all was OK. 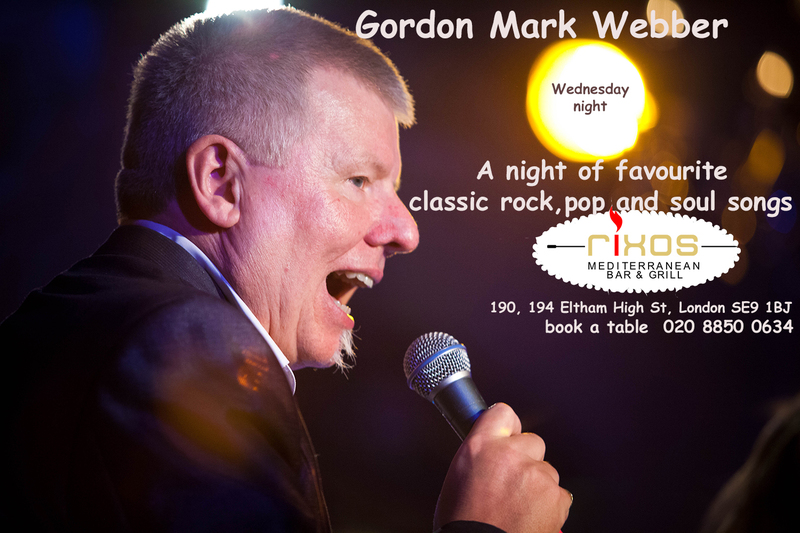 The first set was bad, in my break I complained to the guv, he refused to switch the TV off but agreed that he would pay me my full fee and I could go home without performing the second set. This was one event that helped me decide to only take gigs in pubs where I knew music was appreciated by the manager as well as the clientele. When I got a call from the same pub asking to book me, I reminded them of my previous gig, I was told it’s a new manager and he has promised no TV during the performance, so I took the gig. I arrived at a pub with 3 customers and 2 bar staff and lots of TV’s showing a darts match, there posters, blackboards and flyers on every table advertising live music for the following evening, I had sent posters to the venue one was on the wall hidden behind the optics, I was told the other was in the toilet corridor. When it was time to start, reluctantly the barmaid agreed to switch the tv (directly behind me) off and I commenced my show to pub with 3 punters. A little later the clientele tripled in size. Two of the new customers were scafolders who were coked out of their brains. As one approached me the guv mouthed “he’s ok he’s a singer”. “Ok mate is it alright if I sing a song”, I thought that the evening couldn’t get much worse so I’ll let him sing “sure but leave the mic in the stand and don’t fall over the cables, what do you want to sing?” the reply was “I am Sailing” so I played an intro a few times, he looked puzzled so I sang the first line and he took over. He was a very small man before he started to sing but with his first note he contorted himself into a twisted and deformed dwarf, his face shrivelled up and a fry (laryngealisation) noise came from his mouth. It was like something from the exorcist. After the initial horror, I wanted to laugh but the tiny man looked like he would probably punch or glass me if I did so I kept a straight face, it really was a ” Bigus Dickus and Incontinentia Buttocks” moment, every time he lifted his demon face I had to stifle my smile. He sang the first verse twice and then repeated it a third time, he wanted to go for a fourth repeat but enough was enough so I had to upset him and end the song. I thought that was it but instead, he said “another song mate, play “Peggy Jane” (I guessed he meant Peggy Sue) I replied that I didn’t know Peggy Jane, he told me “everybody does it’s really easy just hit the top two strings” I was amused now, so I followed his instruction and hit the top two strings, and asked “what now?” he told me “just keep doing that, it’s really good, I knew you could play it”. I thought that at this point I would take a break so muted all the channels and went to the bar. The second set I refused to let the scaffolder sing so he stood about 4 foot away from me and shouted along with every song I sung. The guv disappeared upstairs. I shortened my second set from 50 minutes to 20 minutes as I knew nobody would notice (they didn’t). The guv came downstairs to pay me and got his diary out “it was a good night tonight let’s sort another date out for you” I said that we would have to wait until December when I get a new diary, the guv told me that “it is December now” I explained that I meant next December as 2018 is already fully booked……… my nose started to grow as I left the pub. 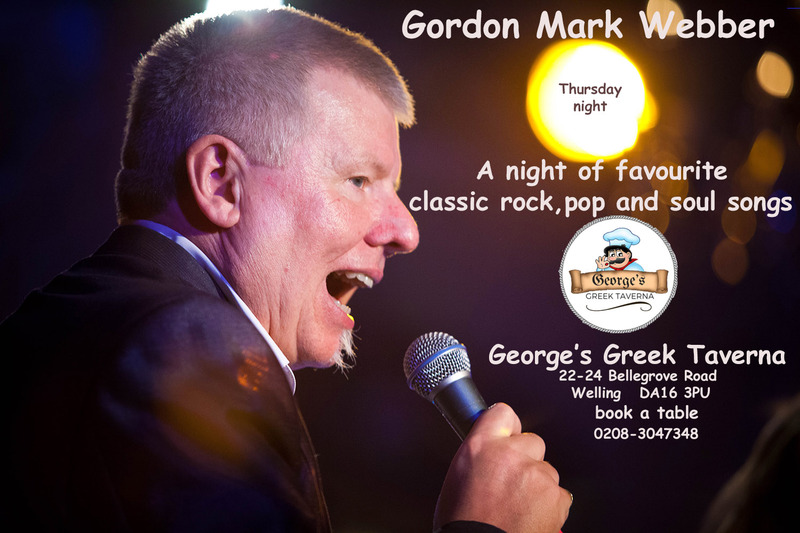 31 days ago (on the 1st of Sept) I performed a debut gig in a small Greek Taverna, about halfway through the first set a customer from a table at the front of the venue (seating 30 people which was the vast majority of the clientele) asked would I let him say a few words through the microphone. He proposed a toast to Debbie, the best ever daughter, mother, sister, auntie and everybody’s friend, please raise your glasses “Happy Birthday Debbie”. As the guy walked away I started to sing happy birthday, he immediately turned and gestured to stop, I did. A moment later one of the younger guys on the table came over and told me that Debbie had actually died a few weeks earlier and this was a memorial get together on the date that would have been her birthday. He asked me to play a Barry Manilow song for her which I did and got a £20 tip. 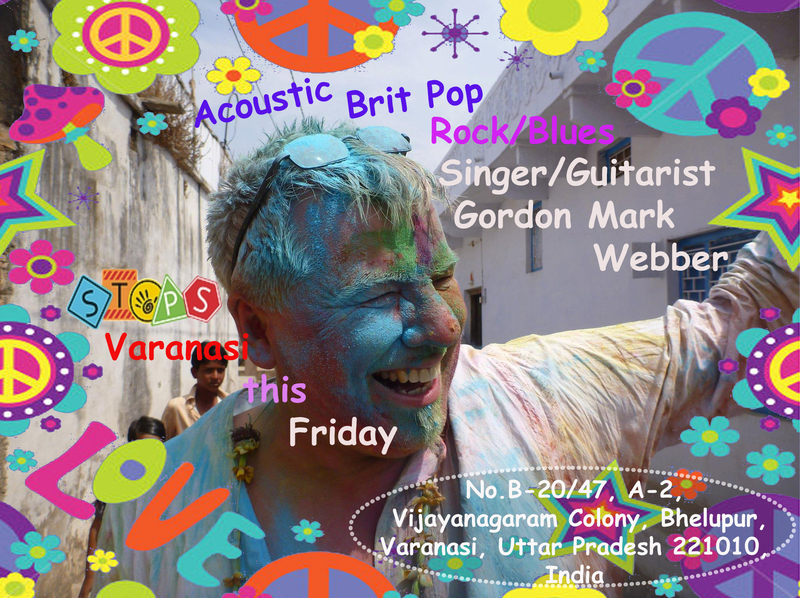 There were a few more gigs at the beginning of the month but then on the 6th I travelled to India. The adventure was fantastic the punters, musicians and the group I was travelling with were fantastic, memories of the roof top restaurant in Dharamshala performing with an Indian band and the gig in a hostel in Varanasi will remain with me always. Returning to the UK it was straight back into the home routine, a regular (residency) gig at Rixos was steaming and the punters were up to party, this was followed by an acoustic (no microphone gig) in The Imperial Courtyard was well appreciated however towards the end of the evening my voice stated to feel tired, this is very unusual for me but I think that the month was just too full on and my vocal folds thought this final performance (without a microphone) was the final straw. I awoke yesterday with no voice! So spent the day sucking Vocalzones, drinking Green Tea (with honey and ginger) and not speaking. In the afternoon I went through a heap of material working out which songs could be transposed down a few tones so that I might have a chance of hitting the notes. I was still really dreading the gig in the evening but I could not dep it out as it was a debut. I posted the gig on Facebook but didn’t get any responses. From outside The Prince of Greenwich is a normal looking pub, I performed there about 12 years ago when it was a normal pub inside. The current owner is the most beautifully and completely mad Italian guy who has travelled the World, loves people and loves his pub. His clientele all love him, the family speak in loud happy Italian. He has filled every piece of wall and floor space with weird and wonderful things he has collected on his travels. It is no longer a pub but an experience that you have to take part in to believe (visit once you will certainly go back). I was not sure if I should warn him of my vocal disability, he has never heard me so would think I was making excuses? I chose not to, he invited me to eat with him. One of the best pizzas I have ever tasted arrived at our table. His wife joined us and we spoke of the joys of travel (they left Italy about 35 years ago and have spent their lives travelling the World). I was concerned about the time however my host told me to relax, I should start my performance when it felt good to start and that would be some time after we had enjoyed some wine. 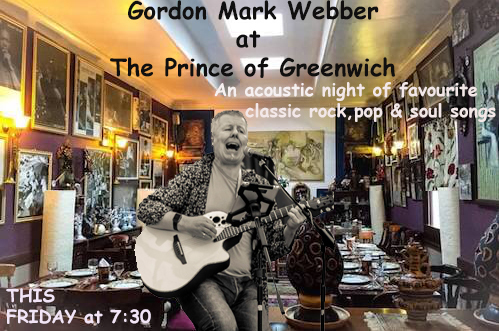 While we were eating the pub started to fill and to my amazement so many friends who I have not seen for years and years appeared, some friends from the Greenwich Inn, some musician friends, some friends from the Novotel and some from Dover St is was just wonderful to see them all. Strangely I felt better because at least now the pub was full of punters who knew that I could usually sing (even if tonight I was going to sound like Lee Marvin). Transposing the songs worked, the songs were very different (3 tones down) but strangely interesting. Amazingly as the evening wore on the gravel and sand in my larynx was washed away by the good silky Italian wine my host was plying me with. The second set turned into a party with a guest singer (who was very good) and some very entertaining dancers, we went Uptown Top-ranking and the good mannered crowd enjoyed Special Brew. Everything about Varanasi is cool, it’s the most different of different places I have ever visited. It appears that in every venue If there is a live musician performing the punters stop talking, listen and applaud just when you want them to. After 3 fantastic nights in Varanasi it was time to move on. Arrived back in Delhi and didn’t have a gig booked for the next couple of nights so went looking for one. Found a great bar called “The Bar”, the guy standing on the door (an Indian Cowboy) was kitted out in a Johnny Cash outfit. I thought this looked like a good place for a gig! The inside was a western theme bar but instead of C&W music, recorded techno was being played, the bar was about 10% occupied. As there were quite a few of us entering the manager was on the case very promptly and waiters were eagerly awaiting. Once our beers were ordered the manager came back to check everyone was happy. I complemented him on having such a great bar and asked when the live music started, he explained there was no live music, the bar only used DJ’s. It then took all of 15 minutes to enlighten him and secure a gig for the following evening. For the next couple of hours The waiters kept the beer flowing and they also kept the bowls of complementary food stuff arriving on the table. Normally I would not touch the complementary food as I don’t trust where other people’s fingers have been however it had been a long day, I had had loadsa beer and just got a gig so was too relaxed and ate. The manager came back and showed me his phone with pictures he had found when he googled me, he choose one of me with CIP to use for his poster, I told him that was not really good as I was performing solo with guitar for him (not with an 8 piece band) but he wanted to use his chosen picture anyway because he liked CIP’s sax player. When I got back to the hotel I had the worse Delhi Belly imaginable, I lost 34 hours in the state of delusional dehydration. At one point I awoke and didn’t have a clue where I was (I knew I was not in the UK but did not have ® a clue which country I was in) I had to switch on the light and search for my air ticket to find I was in India. 35 hours on I was rehydrated and feeling much better. It was only on the way to the train station I remembered my gig. I had talked the guy into booking me then not turned up, I tried finding contact details for “The Bar” to call and apologise but so far no luck, so next time in Delhi I owe him a free gig. In Shimla now and loOking forward to the Shimla Cafe tomorrow night. A bit of stress, but that’s what keeps life interesting! Saturday morning I had to be set up and ready to perform by 10am at a venue about an hours drive away so it was up quite early to load up the gear and get out the door before 8am. The event was the All American Classic Custom Car and Bike Show and for my performance I was to be Jake (the short fat Blues Brother). Although I find being Jake great fun I have only taken on the role a very few times so last week I had spent a 2 or 3 hours rehearsing my parts/songs. Luckily the Elwood I work with is a seasoned performer and there is not much he does not know about the Blues Brothers, he even drives an old American Police car complete with the large speaker on the roof. Heads turn when he arrives at gigs. So the morning was to be fun, I would be following the prompts/directions Elwood gave me. The sun was shining, the traffic was light and I was making good progress around the M25 when I got a text “Blues mobile blown out, will not be to gig before 12:30” (our first set was scheduled for 10). Elwood told me he had left a message for the event organiser and let him know he was going to be late, so we would be starting later. When I got close to the venue (a racetrack) my spirits lifted at the sight of an American Police car (I thought that Elwood had been fooling me about the blown out Blues Mobile), however there was no speaker on the roof? As I turned into the drive at Sandown Park everywhere I looked there were American Police cars all with their lights flashing and lots of American Policemen wandering about. Security let me into the grounds to find my venue. Once inside the venue it was breath taking, there were the most wonderful cars and bikes I have ever seen. I wandered through a hall which was filled with “Film cars” both of Steve McQueen’s Bullet cars were there, Ghost Busters, Dukes of Hazard, Greased Lighting and even Mr Bean was sitting on top of his classic car amongst the dozens and dozens of ofthe most iconic film cars. It took a guy with the HV jacket and walkie talkie about 10 minutes to locate an organiser who could tell me where to set up.The HV jacket man told me that my first set was not to be inside, but out the front of the venue with the American Police cars. There was no cover but a gazebo was on it’s way so I started to set up the gear. I had set up, shared a dressing room with Elvis, so I looked the part in my BB gear and it was about 9:45. One of the organisers arrived. It started to cloud over, Elwood’s message had not got through to the events team. I was directed to the boss to explain the situation, I was amazed at the guys attitude, he was the coolest cool dude in cool ville. “It’s not your fault and it can’t be helped, but can you put on some recorded music to give the people in the queue something to listen to”. After about 30 minutes one of the organisers approached me to say they had had a message form Elwood and things were not looking good,there was no ETA for Elwood so would it be possible for me to start without him. It was a little odd and for a couple of songs I felt extremely exposed, vulnerable and alone but then I got into it, I was performing a Blues Brother (singular “brother”) Show. I dueted with Elvis, got chased around the foyer by a few American Policemen, danced with some young children, got arrested by the most gorgeous hot panted pretend American Police women and entertained the punters. To top it all when the performance was over I got paid the full fee (no deduction for a missing Elwood) and was sincerely thanked for pulling out all the stops. I love when success (and the full fee) is clutched from a disaster (no fee) situation.